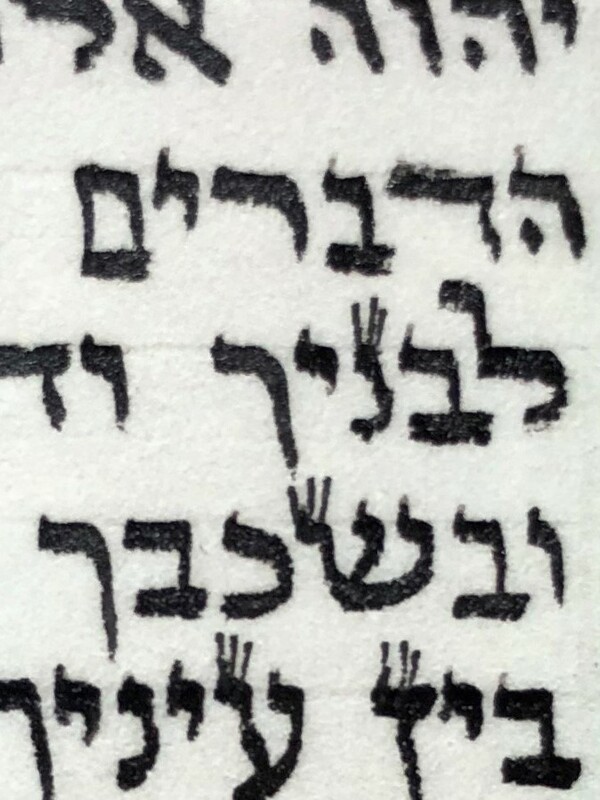 What does everyone think of the yud in לבניך? It's not clear if the light part is actual mamashut dyo or if it's just a roshem. In my opinion, it is "rishumo nikar", and you can add ink. 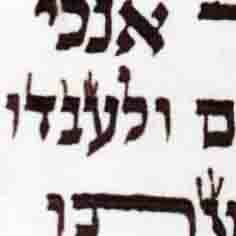 I am more troubled by the nun before it, which is a kosher Baghdadi gimmel. Still, many Chabad poskim don't pasken like this unless there is a tziruf. They say this T"T is too much of a chiddush and may have been a printing mistake. However you can combine it with another sofek - in this case - if it is roshem or dyo. But even if you fix it on the basis of a tziruf, my past experience is that some of the aforementioned poskim do not consider it kosher lechatchillah even after fixing. First of all the Tzmach Tzedek is a “Chabad Posek”. In addition Reb Dovber Karasik is also “Chabad” Rabbi and Sofer, and quotes this Psak as Halocho in his Sefer Pischei Olam. On the contrary the Rebbe writs in a letter to an “outsider of Chabad” commenting on his Sefer that he should review this Teshuvo. 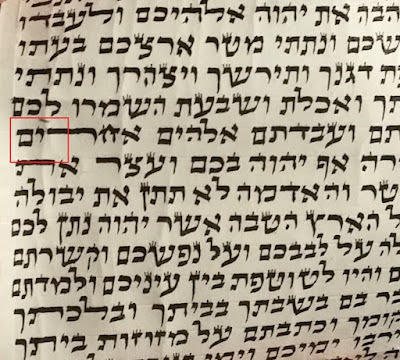 If there is “Chabad Poskim” which are capable to brush of this printed Tzemach Tzedek, aren’t they worthy for their names to be mentioned? Also if it “may have been a printing mistake” how can it be used as a “Tziruf”? But what I do understand is that “Many Chabad Sofrim” don’t get their “Safrus Education” from Chabad Sofrim which learned from previews Labavich Sofrim, and therefore may have a hard time excepting Piski Dinim of the Tzemach Tzedek. Reb Yisroel, I'm sorry if it is hard to believe but I am not making this up..... I have heard it many times,as I'm sure you have, from well known Chabad poskim and sofrim in both Israel and the USA. I have even heard one well known senior sofer in Crown Heights tell me that it was at best a printing mistake, and at worst "deliberately printed erroniously by Misnagdim (not sure how, maybe they were the printers) looking to discredit the T.T.!! ". 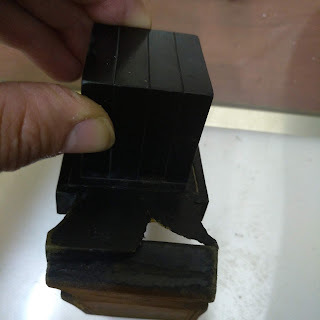 My personal experience is that when I once had a shailo on someones tefillin - where the yud was like a "rain drop" shape with no distinct regel, I called a few accessible Chabad poskim and was told it was not so poshut to fix. (It was a private psak, but I can ask them permission to mention their names if you so wish (one of them happens to be a member of this forum, so perhaps he will read this and respond accordingly)). If you really want a name, I heard from sofrim in Kfar Chabad that rabbi Ashkenazi Z'L held like this (although he was not one of the people I spoke to). to answer your question why it can be used as a "Tzurif"; I am not a posek, but I guess the reason would be because since there is an element of "doubt" surrounding this particular psak of the T.T. , therefore it can only be used in combination as part of a sfek sfaika(and these poskim do NOT throw it out completely as you assert; It obviously holds value and should be considered accordingly - and this is not a stirah to what the Rebbe writes...outside of Chabad it is simply not even on the radar...hence the letter to the "Outsider". I also heard in the name of Rabbi Mordehay Ashkenazi z"l the rav of Kfar Chabad, not to be meikel according to this Zemach Zedek - a yud lacking regel yemini - to fix shlo csidran. So Reb Eli's comment does have backing.